A city campsite with a rural feel describes our Norwich Club campsite. It commands a beautiful spot next to a river with walks and fishing along the banks. Its back-to-nature feel is enhanced by a small holding with chickens and geese right next door. It’s a fairly secluded and quiet campsite and well laid out with 50 grass pitches and well maintained facilities. 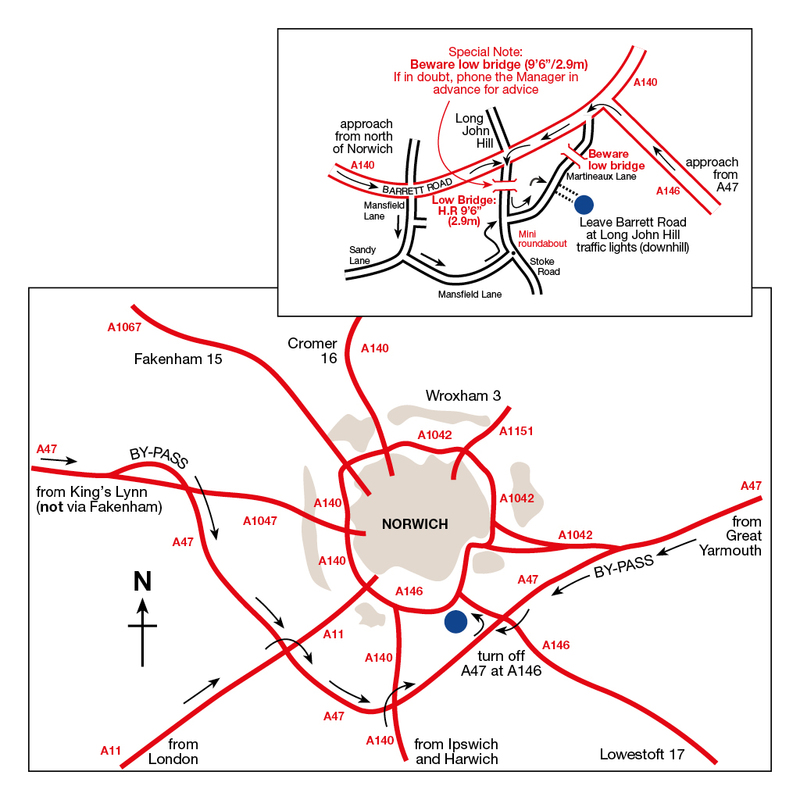 This campsite is in easy reach of the city of Norwich by bike, a lovely walk along the old railway line or by bus which stops a quarter of a mile from the site. Norwich is famed for its castle and cathedral and it has more medieval churches than any other city in Western Europe. Four large malls will satisfy the fussiest shopper and there are numerous places to eat and drink. There are walking and cycling opportunities in Whitlingham Country Park, one-and-a-half miles from the campsite. As well as being a haven for wildlife, there’s also a watersports centre offering windsurfing, sailing and kayaking. The Norfolk Broads, Britain’s largest protected wetland, is within easy reach of the campsite and is home to some of the country’s rarest plants and wildlife. Access to riverbank fishing available from 15th June to site closing date. The river can get very weedy in summer months. Site is close to the mainline railway so there may be some train noise. There is a farmers’ market in Gentleman's Walk in Norwich city centre on the first and third Sundays of the month. Built in the heart of the city by the Normans, Norwich Castle was built as a royal palace rather than a fortification, despite the fact no royalty has ever lived here. In 1894, it opened as a museum and today it exhibits significant East Anglian artefacts and works of art. Constructed in 1096, Norwich Cathedral is the city’s most recognisable landmarks. The surrounding grounds, Cathedral Close, is one of the largest in Europe and its spire is the second tallest in England. Situated in rural Norfolk, Bewilderwood is an adventure park and an exciting day out for the whole family. Featuring treehouses, rope bridges and zip wires, there’s plenty to do here to keep the family entertained. Step through the door and transport yourself to the African plains where you’ll discover lions, cheetahs, rhinos, giraffes and more. During the summer, Africa Alive offers a thrilling safari experience, where you can get even closer to these majestic creatures. This campsite is just over a mile from the beach and next to Africa Alive wildlife park.